Order up to twelve free flooring samples with our quick and easy online sample service. Items can be added to your shopping basket as you browse our website by clicking on the shopping basket icon below on each product image. Alternatively, if you know the reference numbers of the items you would like, you can add the colour reference into the search box below. For urgent sample requests please contact your local Forbo consultant. Sample folders are available for commercial clients or from your local retail outlet. Please advise if you would like a brochure included. Samples are dispatched daily and generally take 2-3 days via post. Thank you for your sample request. Samples will be sent as soon as possible and usually take 2-3 days by standard post. Regional areas may take a little longer. Sample requests received by 3 pm AEDST will leave the same day. For further information on our products, please don't hesitate to contact us on 02 9828 0220 or email sampling.au@forbo.com and we'll be pleased to send you additional literature and samples requires. For technical literature please visit: www.forbo-flooring.com.au/downloads Thank you for your interest in Forbo. 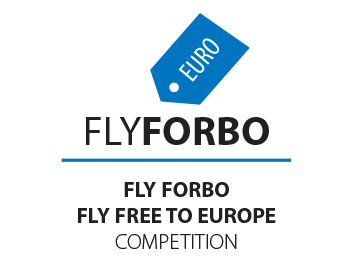 The Fly Forbo Competition 2018/2019 is now open. The winner earns a trip for two to Europe, plus a first-hand insight into the latest European interior trends and a look into how Forbo products are made.